Top trumps were all the rage when I was young, we all had various packs that were mostly based around cars and football from my memory. I’m not sure whether they ever went out of fashion but I seem to think that they did until coming back with a resurgence in the last 10 years or so and you can now get top trumps on almost everything, as well of course of cars and football. 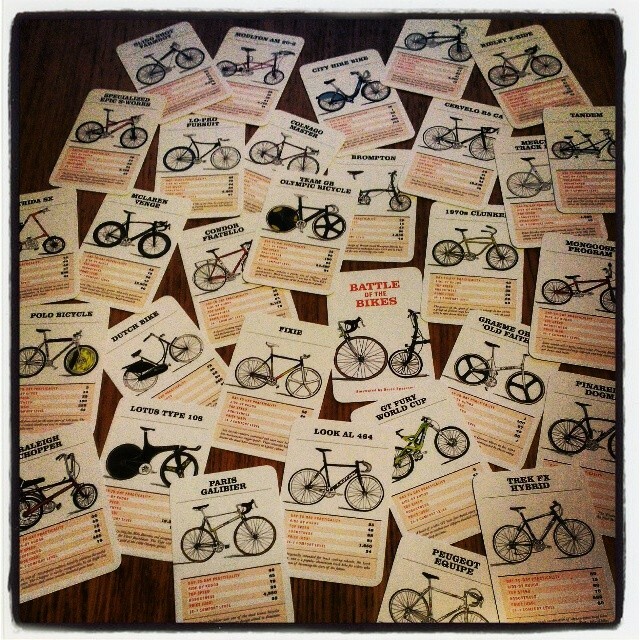 I didn’t however know about bike trump cards until one of my kids bought me them as a little surprise gift on the weekend from Colours May Vary. 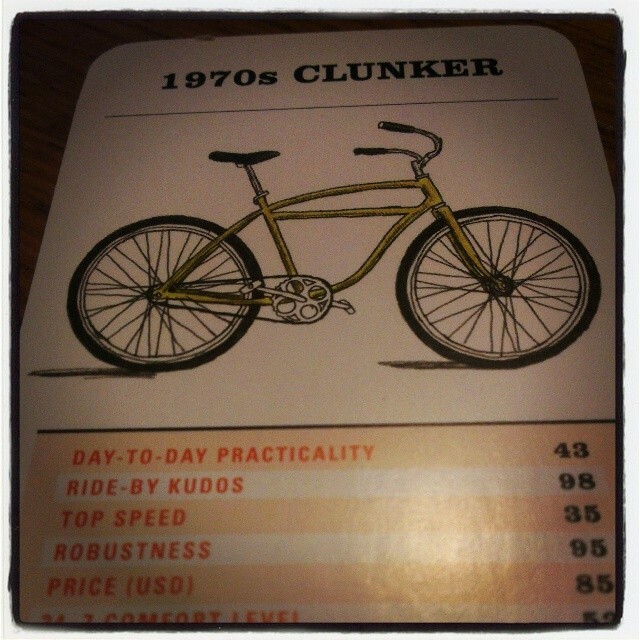 These trump cards are slightly different from the ‘Top Trump’ brand as they are beautifully illustrated by David Sparshott so that each card is like a mini art snapshot and the pack would make a great present for anyone who likes bikes (they’ve certainly found a welcome home in my house). The 30 bikes chosen are widely different from individual iconic steeds through to ubiquitous utilitarian numbers with a brief description of each bike and they battle across six great categories: Day to Day Practicality; Ride-by Kudos; Top Speed; Robustness; Price; 24-7 Comfort Level. 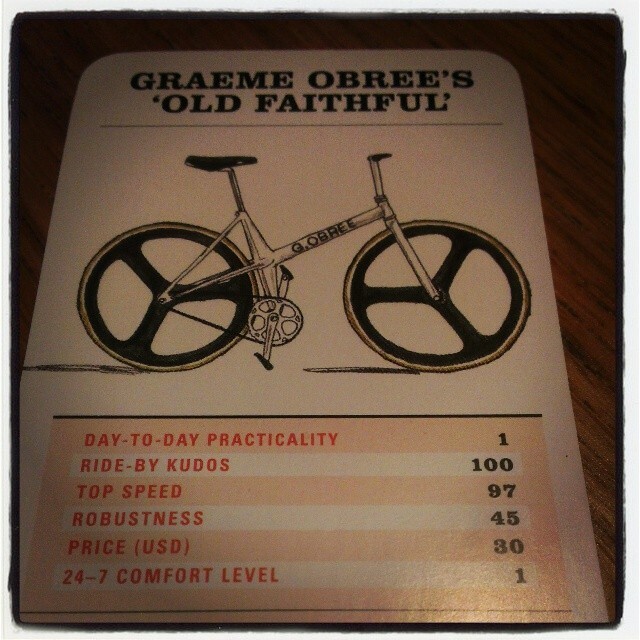 I’ve taken much hilarity from the Fixie only scoring 25/100 for Ride-by Kudos so I suggest you make sure you buy a pack of these for the hipster in your life.